Welcome to the next level of science education. 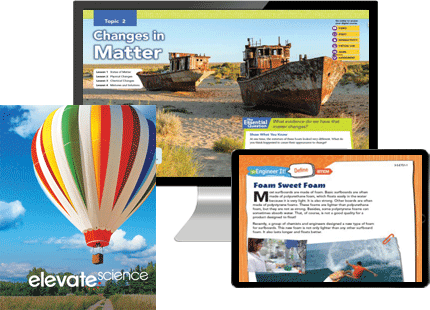 Elevate Science is a comprehensive K-5 science program that focuses on active, student-centered learning. 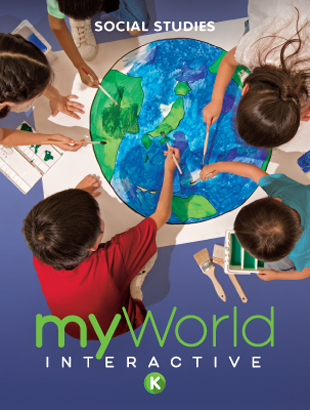 The blended print and digital curriculum engages students in phenomena-based inquiry, three-dimensional learning, and hands-on investigations. 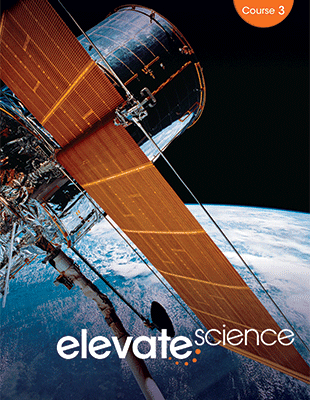 Elevate Science builds students’ critical thinking, questioning, and collaboration skills. 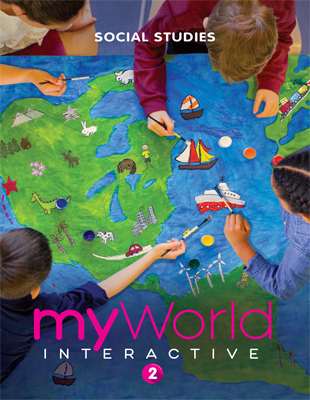 It fuels interest in STEM and creative problem solving while supporting literacy development for elementary-age learners. 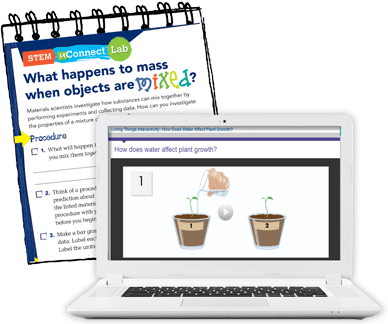 Raise student interest and approach science teaching with a new level of confidence! elevate thinking, learning, and teaching. Elevate Science encourages students to work like scientists and engineers. Phenomena-based inquiry develops general science ideas through problem solving and creative solutions. Elevate Science integrates Scientific and Engineering Practices, Crosscutting Concepts (CCC), and Disciplinary Core Ideas (DCIs). 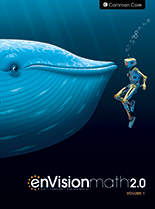 Three-dimesional learning turns young learners into powerful STEM problem solvers. 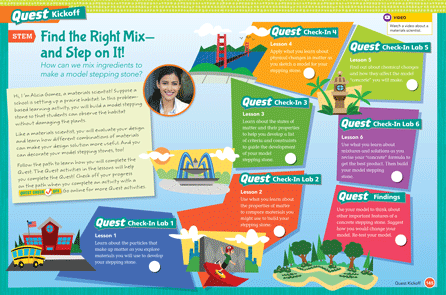 Elevate Science helps elementary educators teach science with confidence. 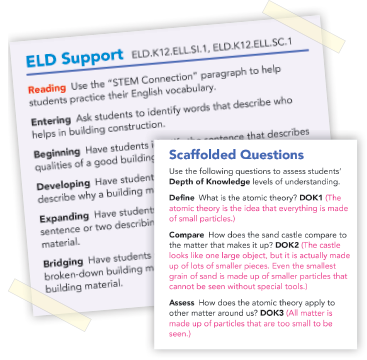 Scaffolding, ELD, differentiated instruction, and an improved 5E lesson model provide all the support you need for successful teaching practices. 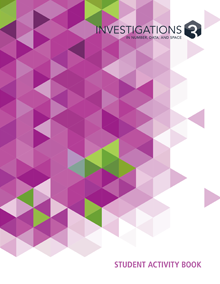 * Next Generation Science Standards is a registered trademark of Achieve. Neither Achieve nor the lead states and partners that developed the Next Generation Science Standards were involved in the production of this product, and do not endorse it.